Blog and Articles It’s a Success! After the monks in India had been wearing white for a while, Swamiji decided that the monks who had taken the Brahmachari vows should wear Ananda yellow. He gave us a sample piece of cloth so that we would know exactly what shade of yellow to wear. There was only one problem: the sample contained many different shades of yellow! These instructions occurred in December 2008 in the middle of our move from Delhi to Pune, so we decided to go for the change to yellow once we relocated. 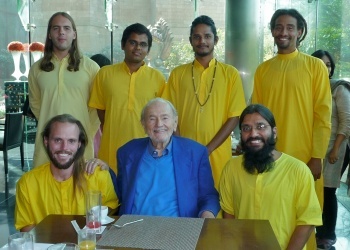 As time passed, the question of which shade of yellow Swamiji wanted began to generate more discussion. Why must Saints be so strange? Couldn’t he have just given us a sample cloth with only one shade of yellow? I intuitively felt that maybe one reason for the many shades would be to see if we could get along as a group, and put our personal opinions aside. 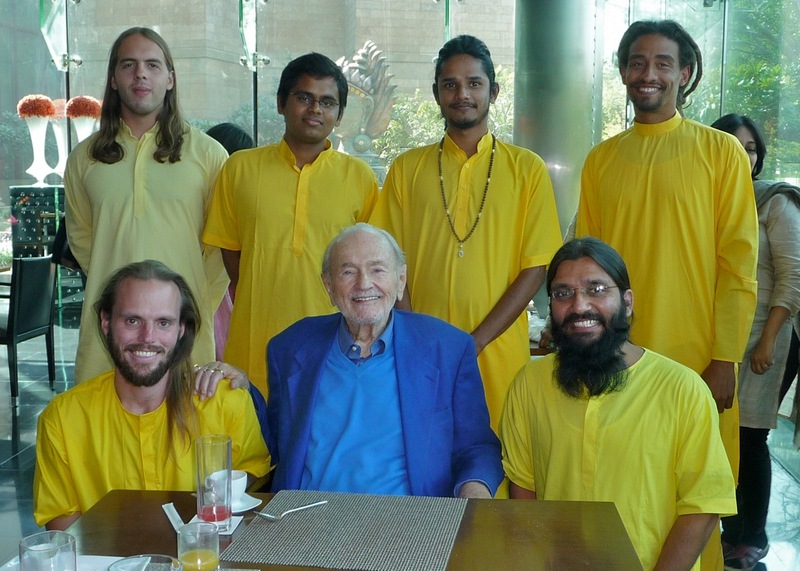 It had now been over one month since Swamiji asked us to change to yellow, and we still hadn’t taken action. We all agreed that we had to do something, and that we would be willing to sacrifice our personal opinions on exactly which shade of yellow was correct. 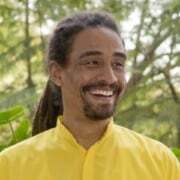 We all finally came to a consensus on what shade of yellow we would show the dyer, so that he could make all of our clothes that particular color. We went to the market and purchased cotton pyjama pants. They would initially match our white kurta shirts, and after everything went into the same vat of dye, all of our clothes would all match. Everything was all set! We left all of the clothes with the dyer, and he asked us to come back the next day. Two of the Brahmacharis showed up first, and the rest of us received the news via mobile phone: the kurta shirts that were old came out different shades than the kurta shirts that were new. The pyjama pants came out different shades depending on the different brands. Some pants couldn’t even be properly dyed because they weren’t 100 percent cotton; these would have to go to Mumbai to be dyed. When we arrived, the dyer was explaining that all of the different shades were not his fault for reasons I have already mentioned. The aforementioned Brahmachari came in and stuck to his guns; “It’s a success, it’s a success!” It’s a success, it’s a success! First the dyer’s energy turned around, and then the other Brahmacharis. Eventually, everyone was happy. In this moment I thought that maybe Swamiji gave us the multi-hued yellow sample so that in the end, we would be able to fulfill his wishes completely. What a change of perspective! For over one month I had wondered how would we please Swamiji? Would we choose the proper shade? However, from the beginning, he had already chosen all of the proper shades for us! 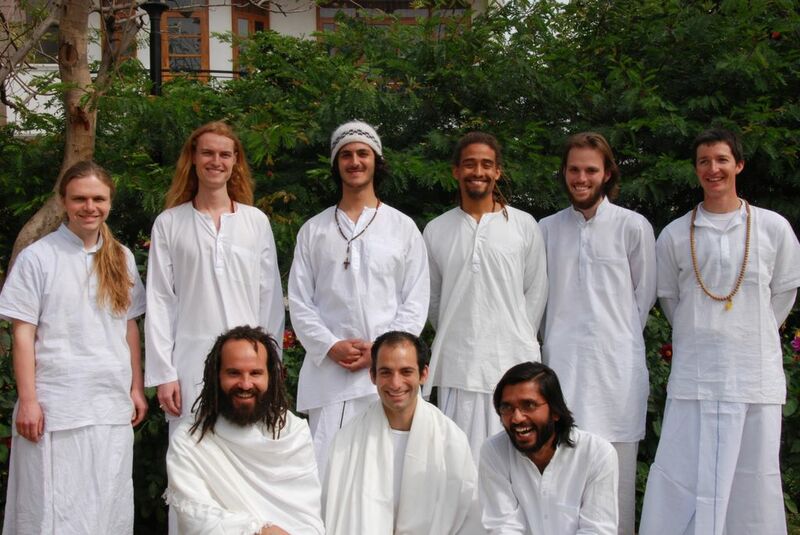 Photo of you with other Brahmacharis in white takes me way back to 2008 when I attended the first classes in Kolkata.That step has changed my life and whole perspective about spirituality .Thanks to you all for guiding us on this path.